Want to win these gorgeous Madonna x D&G sunnies? 2. Leave a comment below with your Twitter name AND Google Friend Connect username and tell me why you should win this. Available colors to choose from (from topmost left, clockwise): cream, purple, black, blue, red and brown. 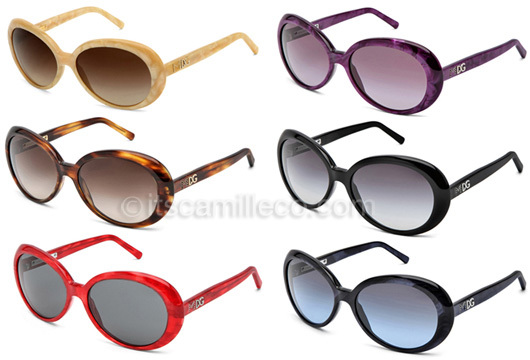 If ever you win, you’ll get the MDG sunnies in the color of your choice (as stated in your tweet). Deadline for entries is on July 11, 2011 (Monday). I’ll be announcing the winner via my Twitter the following day. I’ve made the mechanics sooooo unbelievably easy so make sure you do all 3 steps! These sunnies are one heck of a prize (they’re worth P11,990) so I’ll be extra strict!